Magnetic Fe3O4 assembled on nZVI supported on activated carbon fiber for Cr(VI) and Cu(II) removal from aqueous solution through a permeable reactive column. Manganese dioxide nanoparticles/activated carbon composite as efficient UV and visible-light photocatalyst. I hope it resolves quickly for you! Hi Michael – have you tried ordering activated charcoal at Starwest Botanicals? I use activated charcoal in my homemade toothpaste that I use daily. Do you think brushing your teeth with it daily is OK? Hi Ashly – my family has used activated charcoal in toothpaste off and on for years. However, I would double-check with your dentist to be safe! Hello, I saw this product posted on someone’s site. They stated it can be used while bathing. Is this true? If so, how often should I use it this way? Also, can I use it while batching and then take it orally in one day or will that be too much? Hi TC – yes, it can be used in the bath. I’ve not done that, simply because cleanup can be quite a chore! (talk about ring around the tub!) And yes, you could still take internally if you use it in the bath. I wouldn’t use more than about a tablespoon in a tub of water though. Thank you, I have tried them both ways and boyOHHHHHboy what a clean up LOL! I have AVM in the brain. Is it safe for me to take activated charcoal? I’m taking lacosamide as my daily maintenance 3x/day. Can it mix also with vitamins such as garlic oil,vitamin b complex, vitamin e? Hi Patty, you really need to ask your doctor if the charcoal is safe to take with AVM. As for the supplements, just do not take them within an hour to hour and a half of the charcoal, as charcoal can absorb medicines and supplements. I inject vitamin b-12 once a month. It’s been about 10 days since last injection. Is activated charcoal via capsule form safe. Don’t want to counteractivate the b-12. I have Lyme and am experiencing an increase in symptoms. Not sure if it’s a hertz. Hi Donna, it should be. The B-12 doesn’t go through your digestive system since it’s injected. To be sure, I would ask your healthcare provider, though. Can I use epsom and charcoal together? I would not use them together. The absorbent nature of charcoal could very likely negate the beneficial properties of the Epsom. Activated charcoal (also called activated carbon) is not particularly successful at removing dissolved inorganic contaminants and heavy metals such as minerals, salts, antimony, arsenic, asbestos, barium, beryllium, cadmium, chromium, copper, fluoride, mercury, nickel, nitrates, selenium, sulfate, thallium. Hi, we are planning a trip to Central America and I wanted to utilize Activated Charcoal on the trip to help avoid common traveler’s illnesses while there. The last time we were in Central America everyone who went got very sick with the exception of our young daughter who avoided it all together. She will be 4 on this trip. What recommendations are there for taking it while traveling? Is it ok to take daily? If so, what is the dose for adults vs. children? I’ve used it at home at the first sign of things but I really don’t want illness to hinder our trip in anyway so want to be proactive if possible. Thanks! 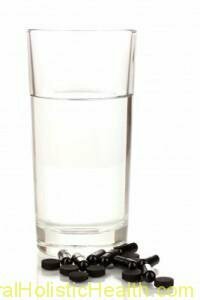 Generally speaking, activated charcoal should be used before eating or at least 1.5 hours after having a meal. It shouldn’t be eaten with vitamins or other oral supplements. Women who are pregnant or breast-feeding should stay away from it. There are only 2 types of food to be avoided while digesting activated charcoal: ice cream and chocolate. I know, they are great vacation delicacies, but you better refrain from having them or they will reduce the charcoal’s effect. I don’t think the dosage is going to be much different for a child – after all, ERs pump kids’ stomachs full of activated charcoal to neutralize poisoning. Can Activared Charcoal help with heavy head and face sweating. Hi Alex – to be honest I had not heard of using activated charcoal for excessive sweating, but I did a bit of research and it appears that it does, indeed, help. my grand son is autistic and he has bad teeth, and stomach issue, he’s three can he use charcoal for gastric prob and cavities reversal? Hi Jackie – unless the gastric problems are caused by a substance or organism that charcoal will adsorb, it won’t be much help. Also, I’m not sure anything will provide ‘cavity reversal’ due to the fact that cavities are literally holes in teeth where the tooth has decayed. I’m sorry I couldn’t be more help – but if you find anything, would you come back and let us know, please? 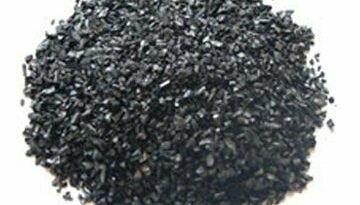 At first I have started using activated charcoal for odor adsorption. I was surprised with its effectiveness. Then my wife used charcoal powder and baking soda for natural teeth whitening. I surprised again, it took little time, but worked. Last year my wife started taking it for food poisoning issue, and it worked as well. Hi Amber – I would alternate with a couple days in between. They shouldn’t negatively react to each other, but with charcoal’s propensity to adsorb so many things, I wouldn’t want to use it right along side any other type of poultice. What is the best way to store the activated charcoal? Hi Cynthia – I just store in a cupboard in a plastic canister – it keeps very well. I used activated charcoal capsules which are a lot easier then the messy black powder and I cured myself of 2 different issues. Hi! I read that you can take AC not longer than 10 days. Is it safe if i could have it for 10 days every month then?